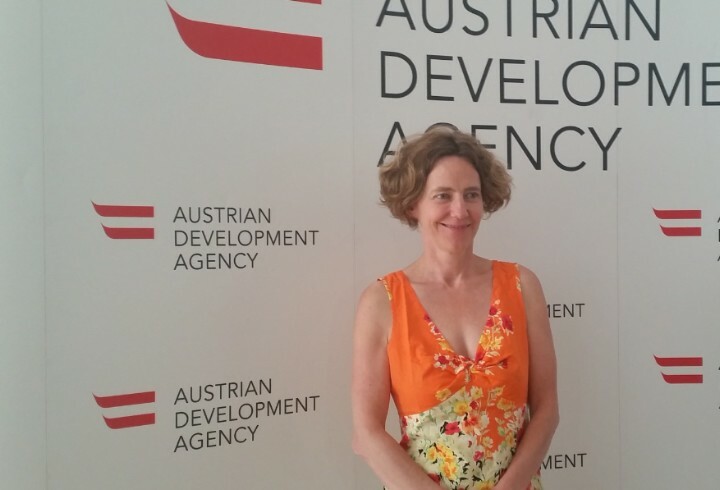 Combating poverty, ensuring peace and preserving the environment- these are the three major concerns of the Austrian Development Agency (ADA). 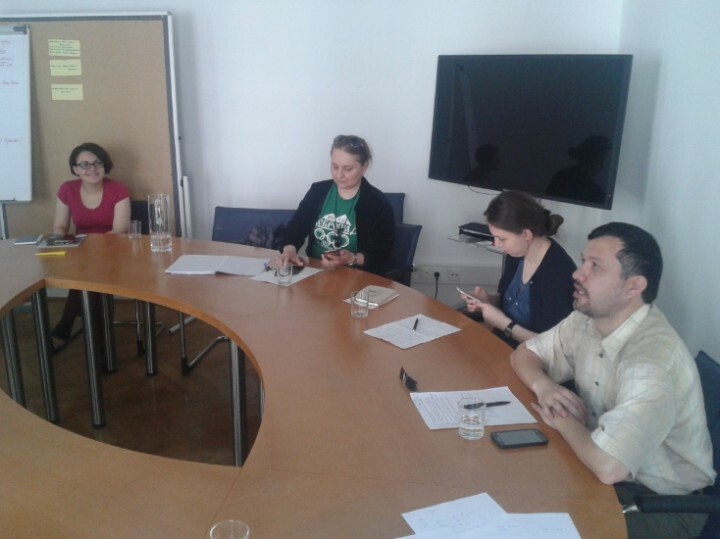 The Communication Officers of the Caucasus Network for Children (CNC) spoke with Mrs. Barbara Konzet, Program Manager of the Civic Society Program International in Vienna about ADAs activities in the Southern Caucasus. We are interested in the ADA's regional approach and its special focus on the Black Sea and the South Caucasus regions? The South Caucasus has been the priority region for the ADA for nearly five years. The Austrian Ministry for Europe, Integration and Foreign Affairs defines the priority regions. 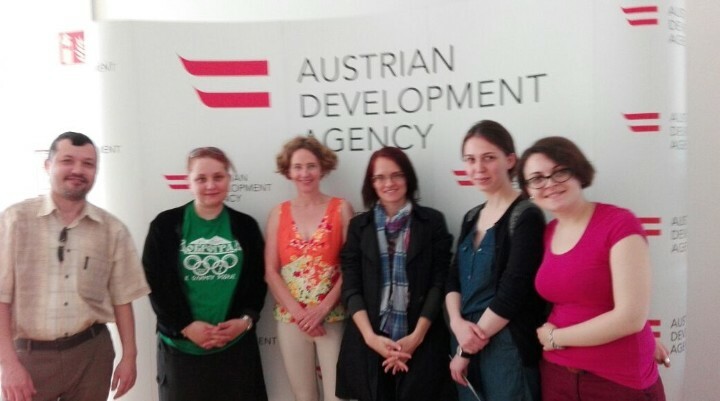 The Ministry is responsible for the overall strategy of the Austrian Development Cooperation and the ADA is the implementing partner of the Ministry. One of our funding instruments is the cooperation with Civil Society Organizations (CSOs). CSOs get higher grants for the implementation of projects in priority countries and regions than in other developing countries. At this moment we co-finance around 15 projects in the Southern Caucasus region. For many years the Interkulturelles Zentrum (IZ)* has been a partner of the ADA in the region. Interestingly, Georgia and Armenia are on the ADA’s list of priority countries in the Southern Caucasus, but Azerbaijan is not. Programs of other international organizations usually include all three countries. It is true that only Armenia and Georgia belong to the priority countries, but the region as a whole is priority for the ADA and Azerbaijan is part of the region. Therefore, this does not mean that organizations from Azerbaijan cannot apply for grants. The main rule is that these are regional projects which are implemented together with organizations from other South Caucasus countries. Any developing country** can apply for ADA grants within the budget lines of the ‘Civil Society International’ program. For individual projects in non-priority countries such as Azerbaijan, ADA finances 25 percent maximum of the project budget. Russia is not part of the list of the priority countries as well. What is the reason for this? The Russian Federation is not included in the list of official developing countries**. From a regional point of view, common projects of Civil Society Organizations from Northern and Southern Caucasus would of course make sense. Perhaps, exceptionally, it will be possible to include in a South Caucasus ADA project some activities which take place in the Northern Caucasus. However, this will have to be discussed and approved individually. What kind of projects in the field of inclusive education does your agency support? Inclusion, such as inclusion of people with disabilities, is one of the central aims of the ADA. Any project, which is funded by the ADA must include this component. For example, in Armenia and in Georgia the project “Speaking of myself” has inclusive education at its core. It is a network project, realized by the NGOs of the Caucasus Network for Children (CNC). It is a very qualitative project which has constantly developed and has introduced new ideas. It is already the third project in a row, which has received our support. This indicates the professionalism of the NGOs which implement the project. What is the scale of funding of educational projects by the ADA? The main topics of ADA’s work are: education, peacebuilding, human security, human rights, migration and development, the water-energy-food security nexus as well as the private sector and development. Approximately 10 percent of the ADA budget are allocated to general educational projects with a focus on Higher Education and Vocational Education. Another 10 percent are allocated to projects aiming at supporting Civil Society (CSO). CSOs have the ‘right of initiative’ and choose the topics of their projects. What are the indicators with which the ADA measures the results of projects supported by it and how is their impact on the country's development being measured? Our agency does not set the development of the country as a goal of the projects it supports, and accordingly it does not measure the project’s impact on the development of that country. There are other organizations which regularly assess the economic development of the countries. Like any donor, we too have general procedures and monitor how far the project goals and tasks are being realized within the framework of the respective projects. What is the ADA’s contribution to achieving the Sustainable Development Goals (SDGs) of the United Nations (UN), in particular goal number four (SDG 4) which says: “ensure inclusive and equitable quality education and promote lifelong learning opportunities for all”? The Ministry is coordinating the implementation process of the activities on how to reach the SDGs. This is a new process and the ADA is engaged in developing further actions and formulating even more relevant aims for our work. Of course, SDG 4 is one of the more relevant goals for the ADA. It’s still a long process and we are developing a strategy to achieve these goals by the year 2030. ** Developing countries are defined by the Development Assistance Committee (DAC) of the Organization for Economic Co-operation and Development (OECD). According to the DAC list, Armenia and Georgia belong to the ‘Lower Middle Income Countries’, Azerbaijan to the ‘Upper Middle Income Countries’.